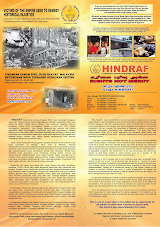 HIndraf Makkal Shakti: 1)Cabinet Meeting on 25/5/11 must decide on Royal Commission of Inquiry into unfair and race based JPA scholarships award. 2) All 5A’ and above students must be awarded JPA scholarships. 1)Cabinet Meeting on 25/5/11 must decide on Royal Commission of Inquiry into unfair and race based JPA scholarships award. 2) All 5A’ and above students must be awarded JPA scholarships. Re : 1) Cabinet Meeting on 25/5/11 must decide on Royal Commission of Inquiry into unfair and race based JPA scholarships award. 2) All 5A’ and above students must be awarded JPA scholarships. Yet one more time, we want to bring to your attention the ridiculous manner in which your Government is handling the issue of allocating higher education opportunities or to put it better, not allocating earned higher education opportunities to bright young Indian students in the country. Before you accuse us of sensationalism, let me place one telling case here for you. This really should come as no surprise to you, as it is after all, only an outcome of the operating policies of your government. Mr. Kugnethran a/l Parmusuan, IC # 930610105741 scored 12A+ s in the 2010 SPM examinations. He took 12 subjects and he scored A+s in all. That is 100%. One cannot do better than that. He applied to the UPU for an overseas University Scholarship to do Medicine which is his guaranteed right under Article 12 of the Federal Constitution but he was given an insulting “ Diploma Kesihatan Haiwan dan Peternakan” admission at the Universiti Putra Malaysia. This is utterly revolting. Your government continues to insult Indians in the country. The most recent example was the insistence of your government to go ahead with the Interlok novel inspite of the demeaning stereotype of the Indians and inspite of screaming protests from Indians across the country. Now, with this kind of offer to Kugnethran, you show again how cavalierly your government treats Indians. You award the brightest of the bright young Indian children with this insulting “Diploma in Animal Husbandry”. In Tamil folklore, the job of herding cattle is meant for those who are mentally retarded. Can there be a worse insult for you to cast upon us Indians in the country? 1) NST of the 22nd of May 2011, quoted the Human Resources Minister as saying that your government is awarding 360 scholarships to the top Indian Students this year. So if the very best among these top Indian students, this 12A+ scoring Kugnethran is given a scholarship to do Diploma in Animal Husbandry, what are the other 359 students getting? I am afraid of what your answer may be! 2) Your Human Resources Minister further says that of the 4,000 scholarships awarded, 9% are to Indian children, but what he fails to say is the composition, program-wise of the 9%. And that too if it indeed is the 9% in the first place. Is it your implicit assumption that the Indians should be thankful with the 9 % overall and ask no more – since they have been given their share. 3) Why does your government continue to keep a cloak of secrecy over the issuance of scholarships? 4) Why does this situation repeat itself year after year. Is it plain incompetence on the part of the PSD as your Higher Education Minister would like us to believe or is it like everything else, a clear case of complicity between UMNO and the Administration and then a cover-up with this very convenient excuse of Administrative screw-up. 1) On the UPU website, to identify all the UPU applicants, their SPM performance, the courses they had applied for and what they finally got. This must be done in a transparent manner by publishing the same in the Higher Education Ministry website, for the cloak of secrecy is one of the main reasons for annual recurrence of this problem. 2) We hereby call for the instituting of a Royal Commission of Inquiry into why this problem resurfaces every year at this time – what the criteria are for the award of the scholarships and other tertiary educational opportunities for the brightest of our children. It is too shortsighted a policy to play around with a strategic aspect of our nation.